As one can imagine, it is impossible to see all of Los Angeles in a single day, so it is of the essence that you save as much time as possible viewing the sites, not parking and walking to the sites. For those with the means, that is when & where a limosuine charter in a Towncar or SUV is indespensable. 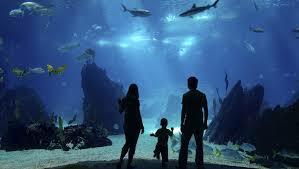 Call one our experienced reservationists to see how long it is for a 4 to 8 or a 12 hour sightseeing package rate. Before each tour, you discuss with your driver what you'd like to see in the city in question and what you have already seen. Where should you stop? Where are the best photo opportunities? Of course you can rely on the experience of our chauffeur and his profound knowledge of his city and its surroundings. Welcome to L.A.! Join us for an exciting day in the City of Angels! Let us guide you through Hollywood, the Hollywood Walk of Fame, the Sunset Strip, Beverly Hills, L.A.'s Beaches and much, much more! Experience some of the most fun and daring rides in the world, including the original wooden roller coaster, Colossus. Magic Mountain offers thrills and excitement for daredevils of all ages. The quickest way to see Los Angeles! On this 3 to 5 hour tour you will see the exciting highlights of Hollywood: the famous Grauman's Chinese Theater where the stars leave their foot & handprints, the Hollywood Walk of Fame. the Hollywood Sign, a view of the studios from Mulholland Drive, the Sunset Strip, Beverly Hills and Rodeo Drive. 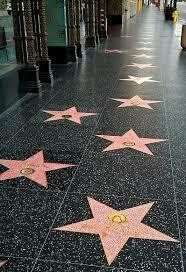 Be the part of the walk to the fame of Hollywood. More than 2,500 five-pointed terrazzo and brass stars embedded in the sidewalks along 15 blocks of Hollywood Boulevard and three blocks of Vine Street in Hollywood, California are permanent public monuments to achievement in the entertainment industry, bearing the names of a mix of actors, musicians, directors, producers, musical and theatrical groups, fictional characters, and others. The Long Beach Aquarium, aka the “Aquarium of the Pacific” is a tourist attraction in Shoreline Village located just across Rainbow Harbor from the Queen Mary. The Aquarium, which has over 1.5 million visitors a year, features a collection of over 11,000 animals representing over 500 different species in exhibits ranging in size and capacity from about 5,000 to 350,000 gallons. Shoreline Village is a very crowded area which makes having a limo a luxury as parking is difficult and at a premium. Anaheim is the home to one of the most famous locals on earth, Disneyland. Opened in 1955, this is the original Disneyland that was designed & built by Walt Disney, the visionary who made all of the famous Disney movies like Fantasia, Bambi, Snow White and the Seven Dwarfs, & Peter Pan. It is also home to Disneyland Resorts which is located right beside the theme park. Anaheim is a favorite local not only for tourists, but many corporate conventions, and is therefore a busy resort city all year round. Affordable Prices for Anaheim Limo: Our prices aren't the cheapest, but nor are they the most expensive. We are priced comfortably in between to insure high quality vehicles, chauffeurs and reliable qualified affiliates, an absolute must in the Southern California area. A complete package for all occasions: Whatever your needs, we will provide you with professionally chauffeured limo service that will make any occasion memorable. 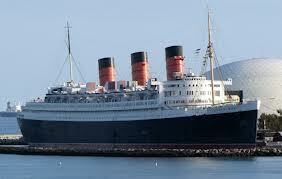 The Queen Mary is another favorite tourist destination spot located in the port of Long Beach near the Long Beach Aquarium. An Art Deco masterpiece, the great ship has great tours, several fine restaurants, in addition to serving as a hotel. It also has one of the best views of Long Beach harbor, though that award should go to the Reef Restaurant right outside to the north side of the Queen Mary parking lot. Griffith Observatory is a facility in Hollywood sitting on the south-facing slope of Mount Hollywood in Griffith Park. It commands a view of Hollywood all the way to downtown Los Angeles to the Pacific Ocean to the southwest. The observatory is a popular tourist attraction with an extensive array of space & science displays. 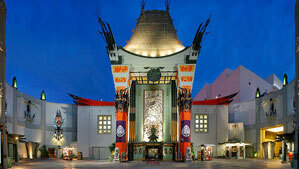 Hollwood's Grauman's Chinese Theater hosts the third largest commercial movie screen in North America. The theater's most distinctive features are the concrete blocks set in the forecourt, which bear the signatures, footprints, and handprints of popular motion picture personalities from the 1920s to the present day.